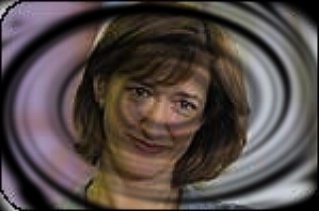 Haydn Gwynne (born 1960) is a British actress. Born in Sussex to Irish father Guy Thomas Hayden-Gwynne, she played county level tennis before studying Modern Languages at the University of Nottingham, and is fluent in French and Italian. She then took a five year lectureship in Italy at the University of Rome La Sapienza, where she taught English. She then became an actress in her mid twenties, with her past reflected in her first prominent television role as feminist lecturer Dr Robyn Penrose in the BBC dramatisation of David Lodge's Nice Work in 1989. After this she went on to start in Peak Practice and first appeared at the start of Series 7 (Episode 1) in 1999 and played Dr Joanna Graham. She discovers she is expecting in Series 9 (Episode 6) with the baby of Dr Tom Deneley a man she embarked on a affair with. They decided to stay together and he left his wife to be with her and the baby. The character of Dr Joanna Graham was written out of the show at the end of Series 9 (Episode 13) when she was fatally shot dead whilst intervening in a conflict between a man and his daughter. After Peak Practice she went on to star in Merseybeat in 2001. Theatre work includes a variety of regional and London based appearances, from Bolton Octagon in Hedda Gabler, to Richard Cheshire's Way of the World appearing in London's West End productions of Ziegfeld and Billy Elliot the Musical at the Victoria Palace Theatre. as well as numerous productions for the RSC. Her television appearances are now more focused on shorter dramas, such as the role of Julius Caesar's wife, Calpurnia, in the TV series Rome. She has most recently starred in an episode of Lewis in the first of a new series (2008). She appeared in the first episode "And the Moonbeams Kiss the Sea" playing the character of Sandra Walters.